We’ve all heard the expression “time is money”, so why not cash in on the time you spend on your phone, and get some work done while you are at it. There are many great apps to speed up work, and quality conversion apps are among the popular ones. 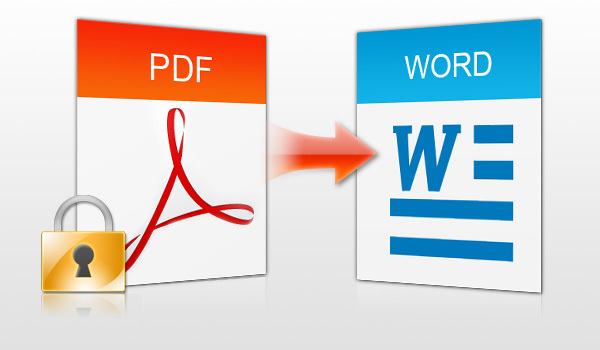 Specifically, PDF to Word is a top of the list conversion app that helps you and your business with converting PDFs to .docx files in order to edit and reuse them. PDF to Word is available for both iPhone and iPad, and you can download it and read more about it on iTunes. Given that PDF to Word offers multiple ways of importing files, you have the opportunity to connect with the services that provide sharing files among multiple devices. Converting files stored in your phone comes with a little twist: you don’t even have to open the app in order to convert the file. Simply find the file on your iOS device and select to open it in PDF to Word. The app will automatically recognize this, open and start converting the file as soon as you give the right command. The converted file will appear in the the main section bellow the import options. In order to convert from one of the integrated services you will have to be logged into the specific service you are using. The files that are available from that service will appear and after selecting one, it will be automatically be converted to Word. After conversion, the converted file will appear in the the main section showing in Microsoft Word file (.docx) ready to be edited and reused. From there you can open and edit the file in the editing app that best suites your needs, you can export the file with the Share button and send it back to your Dropbox, or you can simply close it down and finish your work day. If you haven’t downloaded PDF to Word, I suggest you take advantage of this free-for-all app as soon as possible! Feel free to visit Cometdocs and find out more about the apps they offer, as well as the online tools on their website.